Kenya President Uhuru Kenyatta has promised the national soccer team support in their journey to prepare for the Cup of Nations. The Confederation of African Football (CAF) has confirmed that Sierra Leone have been disqualified from the 2019 African Cup of Nations qualifers, consequently meaning that national team Harambee Stars have qualified for next year’s showpiece. “The CAF Executive Committee at its meeting on Friday, 30 November 2018 in Accra decided on the case of Sierra Leone in the 2019 Total Africa Cup of Nations qualifiers. Sierra Leone is disqualified from the qualifiers and all its matches are annulled,” CAF said in a statement on Monday. 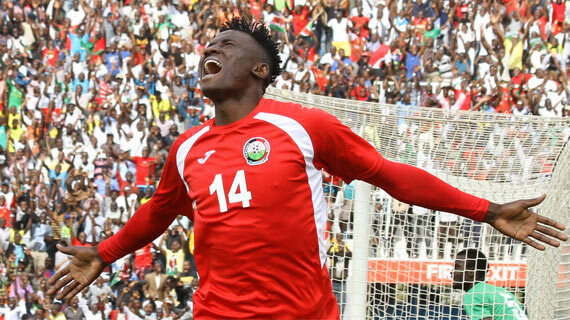 The decision means Kenya top Group F with seven points, one ahead of Ghana and six ahead of third placed Ethiopia and with two teams qualifying from each group, both Kenya and Ghana are assured of a place. The two sides meet in the final round of qualification matches in March 2019 and they will be battling for bragging rights to top the group. With the qualification, deputy President William Ruto will now have to open his purse to award the team the promised Sh50 Million for qualification, a pledge he made last year after the team won the CECAFA Senior Challenge Cup. Meanwhile, President Uhuru Kenyatta has promised the team support in their journey to prepare for the Cup of Nations. “The success of our national football team is a game changer in our sports. We are proud of what our young people are doing to improve standards of game in the country,” said President Kenyatta in a statement to newsrooms on Monday.